Happy Birthday, Mom...special birthday wishes to an amazing mom, grandmother, and great-grandmother. It was because of your birth, on this day, that made an amazing difference in so many lives...thank you. We all miss and love you very much. 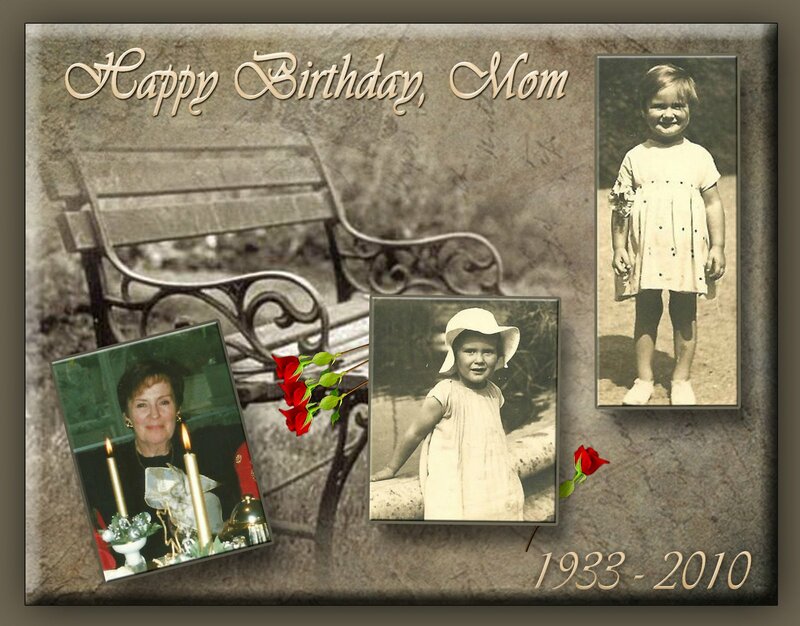 Terri, I can't thank you enough for helping me create this lovely collage for mom...I am very grateful. Happy Birthday, Mom! Sorry for your loss, Gini. I'm sure your mother still watches over you! Thank you Cheryl...it's comforting to know she does. I miss her here each and everyday. Thank you dear Myrt, it means alot to me that you stopped by...it's harder than I thought today but I keep in mind that today is a celebration of the beautiful and graceful life she lead and how blessed we all were to have been loved by her...what a gift she was to be in our lives. Thank you so much Virginia. Beautiful! Happy Birthday to your mom! Wishing you a very blessed day. Cheryl, thank you my friend. Mom had a very special birthday today...so many remembered and honored her...I know she is smiling down on all of us and loving it!